Dubbo City Toyota | Dubbo | HOP TO IT! 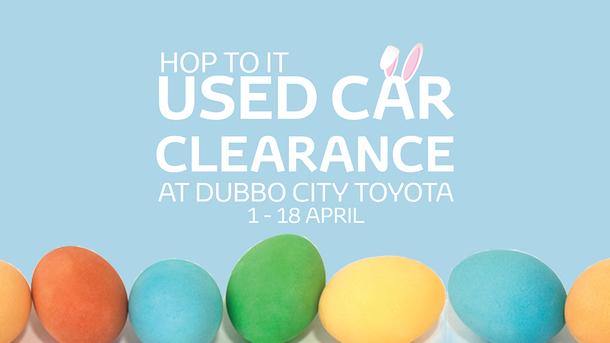 Hop to It and save on Used Cars at Dubbo City Toyota this April! Buy any in stock Used Vehicle and take delivery of it between the 1st and 18th of April and receive a $250 VISA card plus a full tank of fuel. Receive an additional $100 VISA card voucher if you also trade your existing car. Stock is limited, so don’t miss out on your opportunity to save!